There most likely isn’t any woman who can’t relate to having an issue with closet space. And, with our (usually) limited closet space is the unique issue of what to do with belts and scarves. Scarves are a particularly annoying issue for me, as I have a tone of them and it isn’t exactly practical for me to have them hanging on a doorknob or stuffed into a dresser draw. So, I was giving the opportunity to review the Ohuhu Belt Hanger. 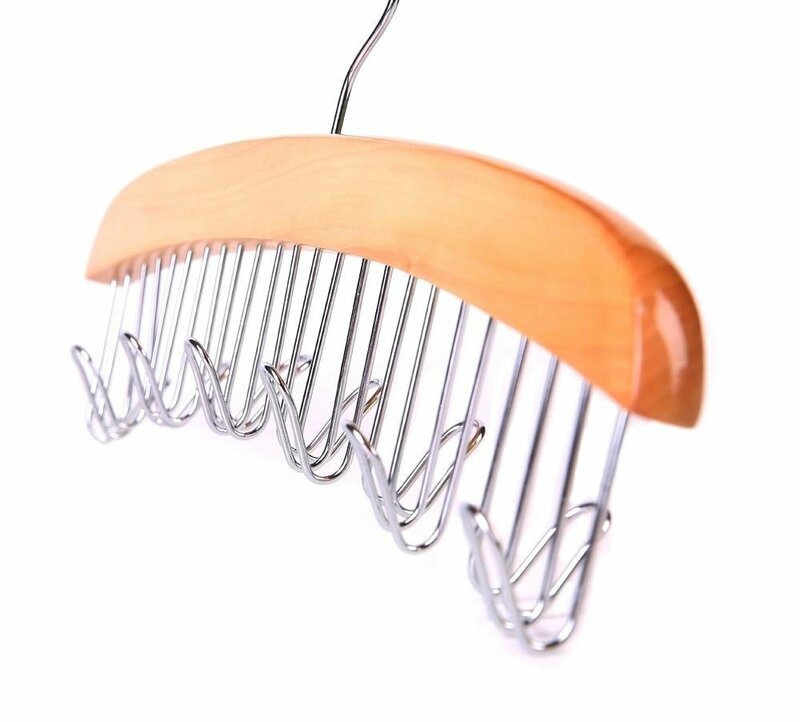 It’s a beautifully designed hanger made of light-colored wood with polished hooks, and a swivel hook. When I review an item, I really enjoy putting it to the test. Although the Ohuhu Belt Hanger doesn’t specify how many items will fit, I chose to load it up on one side with scarves and the other with my heaviest belts. No problem with durability and I was easily able to find the accessory that I wanted. 12 polished hooks for easy access. Swivel hook hangs over your closet rod. 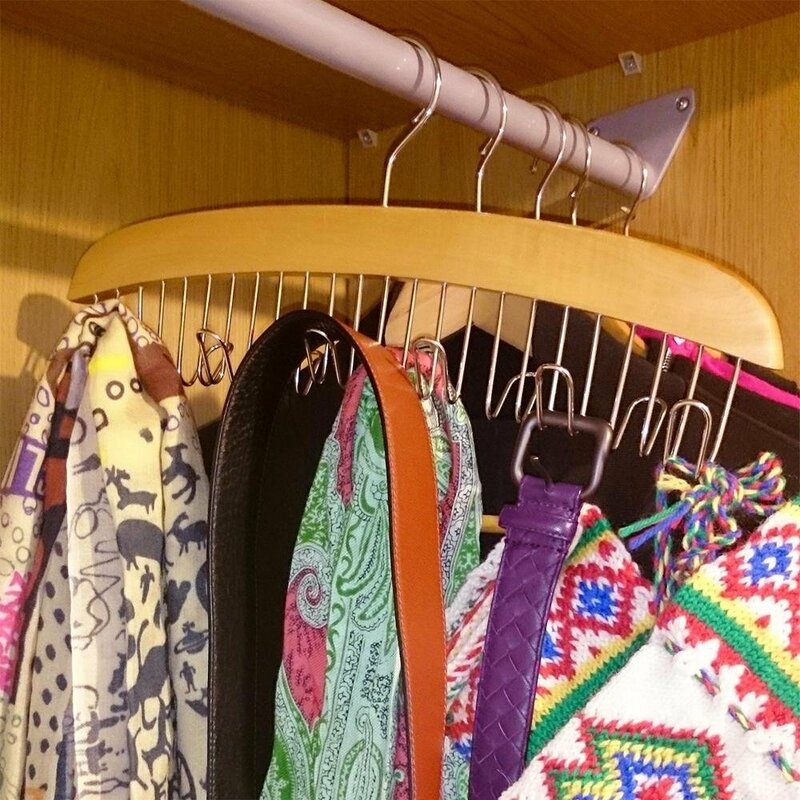 Organize all your belts or scarves. 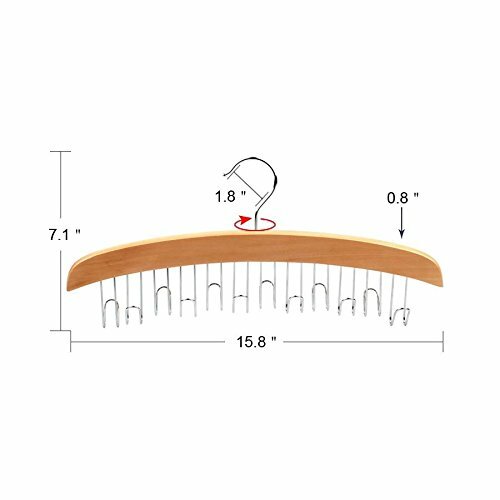 Size: 15.8" X 7.1" X 0.8"
This is an indispensable item for any one who is short on closet space, including the college crowd. The Ohuhu Belt Hanger is available on Amazon!